"Our ambition is to prepare for the years ahead and to make OL a club of the highest level for many years to come. We want to become a benchmark in women's football and break records. We're very pleased to have acquired these two players, and we're set to add another: Kadeisha Buchanan. Josephine (Henning) was the first among those three. She has an impressive record, particularly with European Cups and national titles. She's come with a gold medal around her neck from the Rio Olympics and she already speaks French. We will make an appointment at the end of the season to work out the exact length of her contract. With Alex Morgan, we've recruited a women's football star but also a person who has a public relations and social media presence with almost 11 million followers. We're at a level of renown that's absolutely extraordinary both on an international and club level. 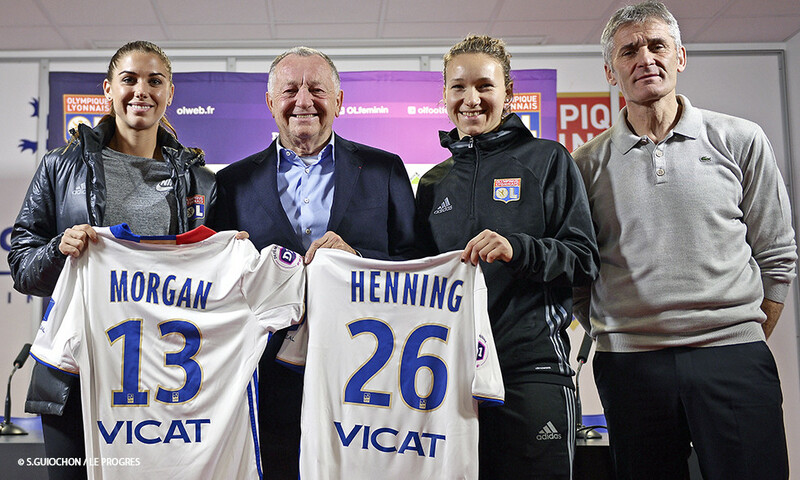 I'm convinced that she will return to Lyon straight after the end of her contract. Alex will become our aide in raising our club profile in the USA, where we aim to internationalise ourselves. With this approach in mind, a 20-episode webseries will be produced for the Americans to learn about the life of one of their compatriots in Lyon. This is a great day. We are filled with desire and a sense of duty to the future." "OL is well known in the USA. There have been many positive reactions from my fans and former coaches because many people know that this is an incredible opportunity. I know of the club because they've won several titles over the last ten years. Lyon haves had many American women players in the past and many would love to play here today. This is an opportunity I want to seize with both hands. I've come to OL to play football and to develop. In the USA, there's a lot of pressure. Here, I can play freely. I hope to improve as a player and I want to play a part in building women's football. My aim is to become the best player in the world. I believe it's possible. I still have some way to go and coming here allows me to raise my level. The style of play will be different so I will have to adapt quickly in order to achieve this objective. As for the city of Lyon, it's all new to me but I'm keen to get to know it." "Lyon is the best team in the world and it's a pleasure to be here, in a great club. With Arsenal, we didn't qualify for the Champions League and that's why I decided to come here. My aim is to play the match against Wolfsburg, my old club. There are many new players over there and I don't know many of them. It'll be a big game, as always. When it comes down to it, they're capable of scoring, so we need to stay focused for the entire match. Regarding Alex, I haven't played with her but we have been opponents. She is an amazing player with exemplary behaviour. It's fantastic for women's soccer and for our team." "It's really nice to have two players of this level who also have impressive records. We needed defensive signings, so we recruited Henning and Buchanan. Last year, there was the departure of Lotta Schelin from up front. We've had a huge reinforcement in the form of Alex Morgan. We will treat all our players the same. The pitch is the true proving ground. Alex and Joséphine will be assessed on the same basis as the others and, accordingly, they will either play or they won't. In relation to their status, I have to create the most conducive environment for them to settle in with the squad and with our game. Many talented players still need time to settle in. These two are arriving while the season's underway without much time to prepare. Their performances will be keenly watched by the media and I hope to integrate them as best one can to the midst of the squad and to our style of play. They're nice people, with a great attitude. They wouldn't be at OL if they weren't." 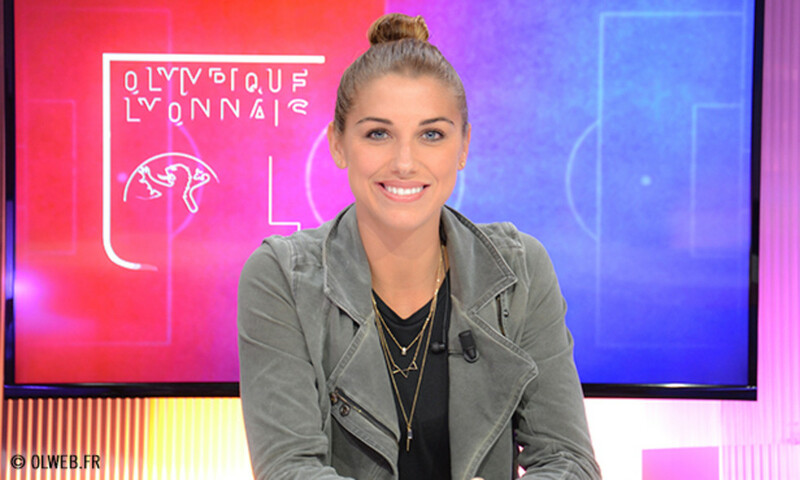 Alex Morgan dans Culture Club : "Les filles m'ont très bien accueillie"
The 27-year-old American international landed at Saint-Exupéry Airport early on Thursday evening.